Though he is in great demand at the court, Branagh, the Nutcracker Prince, has sought no mate and found no one to fill his needs. Melflouise Fairnight, once an archer in the elf militia, now a kitchen maid in the palace of the Sugar Plum Fairy, wanted only to catch a glimpse of the secretive Nutcracker Prince. She never dreamed he'd desire her, or that his loving could free the elf song she'd kept caged since her husband's death. 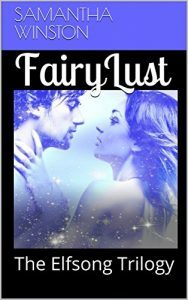 Their unexpected passion forces Branagh to make a terrible choice, between his kingdom and his woman.